JSB Design & Manufacturing, Inc. is a retailer for Shilo Cabinetry, Eclipse Cabinetry, and Aspect Cabinetry, and we are also a distributor for K.I.B Direct. Contact JSB Design for retail cabinet line design, sales, and installation. 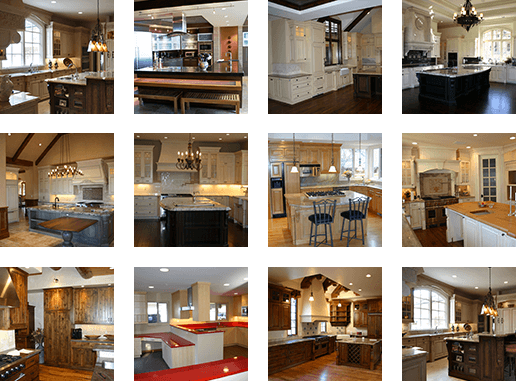 JSB Design & Manufacturing, Inc. is a preferred retailer for W. W. Wood Products Inc., including Shilo Cabinetry, Eclipse Cabinetry, and Aspect Cabinetry; JSB Design is also a preferred distributor for Utah-based company, K.I.B. Direct. As a preferred retailer and distributor, JSB Design can use their stock cabinetry to design custom spaces that will fit your kitchen and your style. We can then order your cabinets direct from the manufacturer and properly install them your home. Stock retail cabinet lines by Shilo Cabinetry, Eclipse Cabinetry, Aspect Cabinetry, and K.I.B Direct are great options for homeowners looking for unmatched craftsmanship on budget-friendly projects. For more information about retail cabinet lines, contact JSB Design & Manufacturing at (303) 295-6613 or info@jsbdesign.net.